Ruins and dilapidated structures are often celebrated because, apart from nostalgic value, the natural dilapidation itself over time may offer a sculptural aesthetic to the structure. This phenomenon is unique due to its temporality. Often, in restoring these structures, architects incorporate crisp, contemporary materials to contrast the ruinous elements. Celebrating the original structure in this way serves to highlight the ragged edges and deterioration. 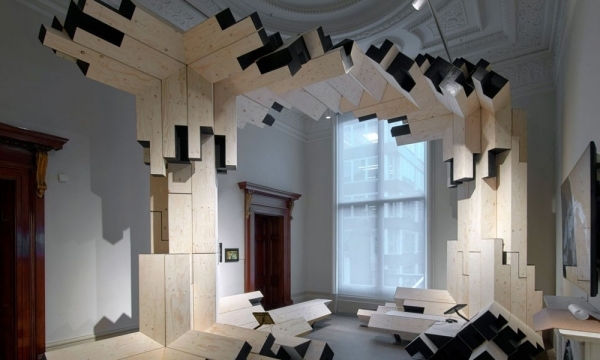 In other instances architects have approached the task of renovation with a more traditionalist philosophy, respecting or replicating the archaic materiality. Designboom revisits the ruin renovations and interventions covered in the past to investigate these different approaches. ‘The cave house’ by Chinese Studio HyperSity Architects is a renovation of a derelict traditional cave dwelling in the Shanxi region of China. The home is made of rammed earth for a local internet star. The site consists of a large barrel vaulted recess in the the earth with a large front courtyard that contained a cluster of three smaller dwelling along the southwest side. The architects began by demolishing this auxiliary volume to open the courtyard entirely and begin from the basic core elements of the site: a large cavernous space and an open forecourt. Greek firm DecaArchitecture repurposes dry-rubble stone walls used to domesticate agricultural land on the Greek island of Antiparos. The result is a residential project entitled ‘Aloni.’ In the past, these prominent man-made interventions in the landscape served to transform a steep topography into a series of arable plateaus. Today, the Cycladic islands are being reshaped by a very different force: the demand for holiday homes. DecaArchitecture preserves and utilizes these ruinous stone retaining walls to create an artificial landscape that is programatically both agricultural and residential. While the horizontal roof of the house bridges a natural saddle, apertures allow the sloping land to bleed into the conditioned interior space. Architect Ferran Vizoso restores the church of Corbera d’Ebre near Tarragona, Spain, whose roof structure was entirely non-existent. As an icon of the town and a relic from the Spanish Civil War, Vizoso aimed to restore the masonry structure to return it to its community, and at the same time preserve its new-found character: an open plan where the sun’s rays flood the previously interior space, birds fly across the nave and vegetation subtly creeps in through the windows and over the walls. On an island in the Mediterranean, Architect Marià Castelló Martínez has restored a two-storey monument that dates back to the mid-18th century. Completed in 1763, the ‘pi des Català’ Tower is one of four defensive lookout structures on the coast of Formentera, the smallest of Spain’s Balearic Islands. The landmark structure, which measures approximately 12.5 meters in diameter, has now been sensitively renovated and is able to facilitate public visits. Throughout the project, Marià Castelló Martínez has used a limited palette of materials that each relate closely in tone to their original counterparts. 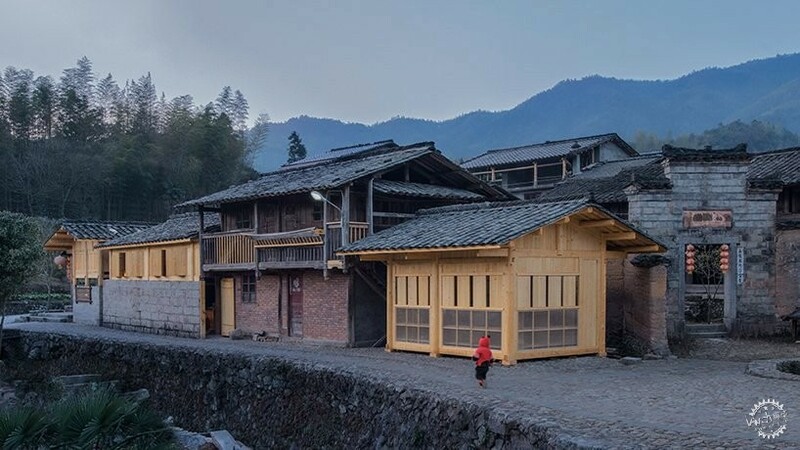 China-based Studio 3andwich transforms ancient, derelict structures of the historical Shang ping village into welcoming educational spaces. The goal of the project was to elevate the village to a touristic site to unveil its great history. 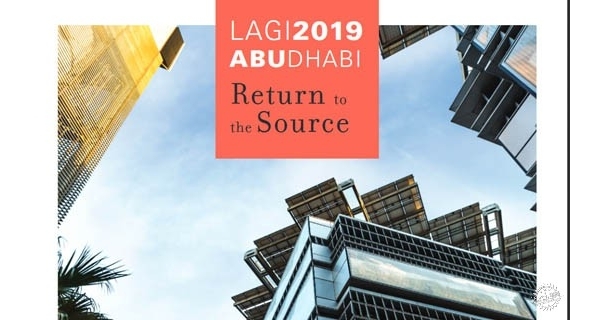 The design includes a series of abandoned agricultural buildings, including cowsheds and barns which are reprogrammed into a bookstore where tourists might discover the history and culture of the village. In the design of the new spaces, 3andwich designates a ‘live’ zone and a ‘calm’ zone. ‘Live’ is the relatively active bookshop while ‘calm’ is programmed solely for reading and meditation. Copenhagen-based firm MAP Architects has installed an observational staircase within a 700 year-old medieval ruin, making it fully accessible to the public for the first time in centuries. 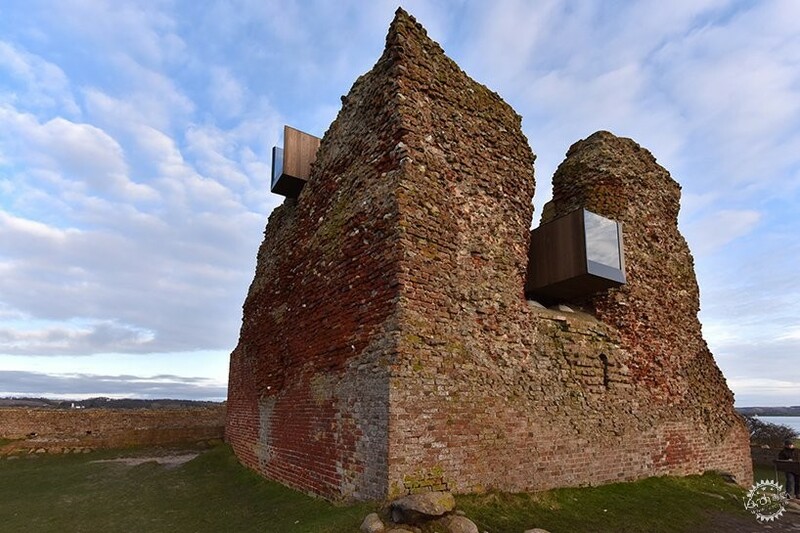 Offering a completely new spatial experience, the intervention allows visitors to enter and climb ‘Kalø Castle’, a historical set of ruins in eastern Jutland, 20 kilometers from the Danish city of Aarhus. 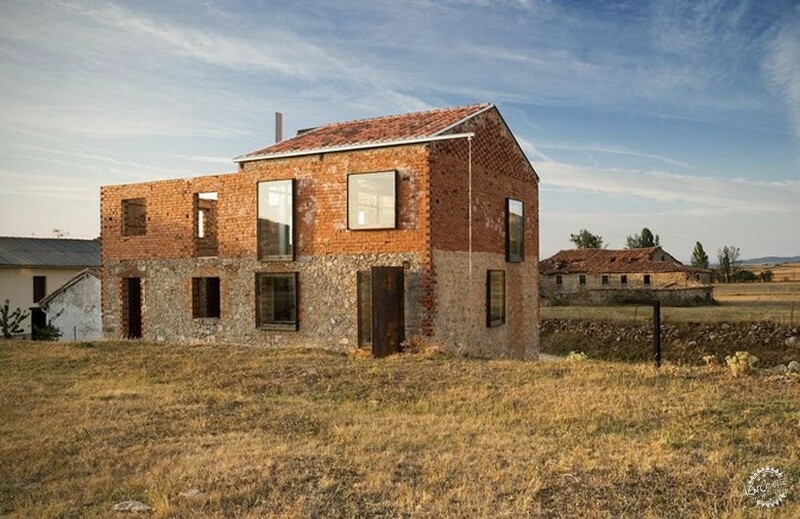 In the rural setting of Palencia in northern Spain, Estudio Castillo Oli has renovated a dilapidated structure into a contemporary living space entitled ‘la Ruina Habitada’ — the inhabited ruin. The project began with a client who commissioned a new home to be built on a site located in the countryside which had on it the masonry shell of a long-abandoned dwelling. Although lacking in any particularly outstanding architectural expression, the structure quickly caught the eye of the architect as an opportunity to treat the project as an intervention exploring the relationship between new and old, preserving the memory of the site while creating a new one — the inhabitable ruin. 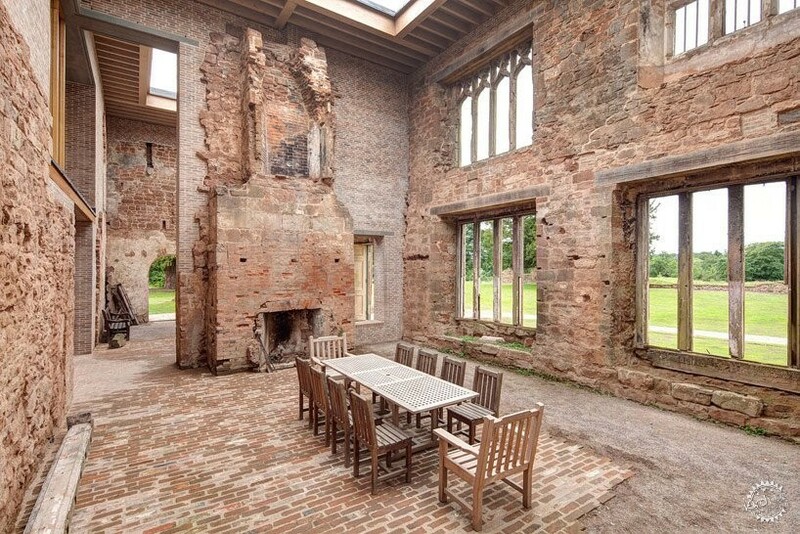 Astley Castle originally served as the royal family’s fortified manor for three generations before being turned into a hotel during the Second World War. After years of abandon, it became a ruined curiosity for those who knew of its location until the Landmark Trust — a building preservation charity — proposed to restore the structure. A competition took place for which architects were invited to submit proposals for the renovation of the residence and surrounding gardens. London-based Studio Witherford Watson Mann Architects was chosen to carry out the project, breathing a new life into the ancient construction. Given a project of this scale, the studio questioned relationship between the old and new — how the new structure might fortify the collapsing ruin without stripping it of its historical image. 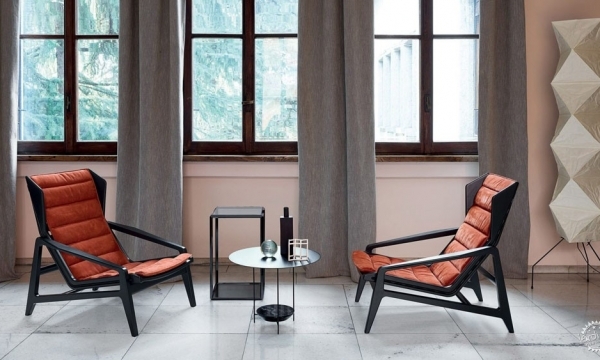 To retain as much of the original feel of the space as possible. The 13th century Spanish gothic church of Vilanova de la Barca was partially demolished in 1936 as a result of bombings during the Spanish Civil War. The church had been in a state of ruin since then, with only its apse, some fragments of the naves and the west façade remaining. In their renovation of this church, Barcelona-based studio Aleaolea aimed to retain the original appearance of the ancient building while transforming the old structure into a new multi-purpose hall. The project establishes a dialogue between the old parts and the new elements, between the past and the present.